We offer all types of Designer Chain stich Carpets. 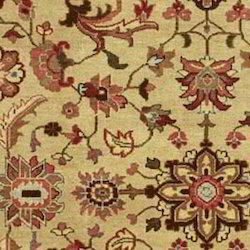 Carpets that are available in hand knotted designs and lend grace to any interior. Chain Stitch and Crewel furnishings - Chain stitch and Crewel works are high quality embroidery done on wall hangings and rugs. They have a very high demand in the world market.